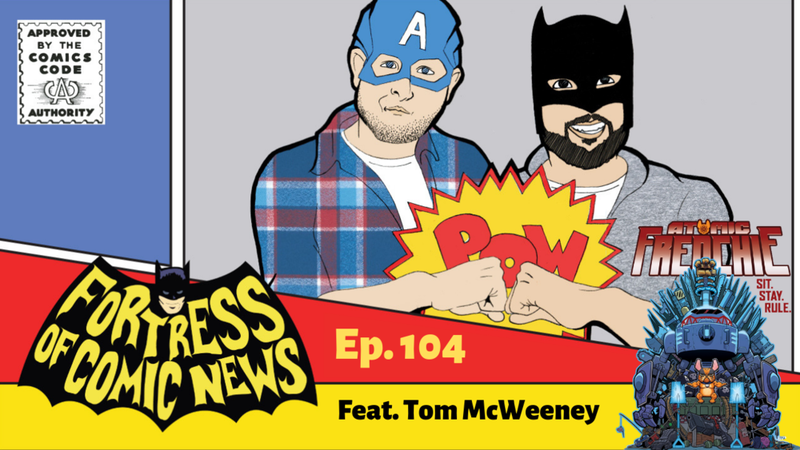 This week Mike and Chris are joined by Tom McWeeney, professional penciler, inker, and comics creator to talk about his career and book Atomic Frenchie. They guys also discuss all the great news of the week including the Umbrella Academy trailer, all the newly announced comics, and so much more. Thanks for Listening! Please take a second to leave us a review, we really appreciate it. 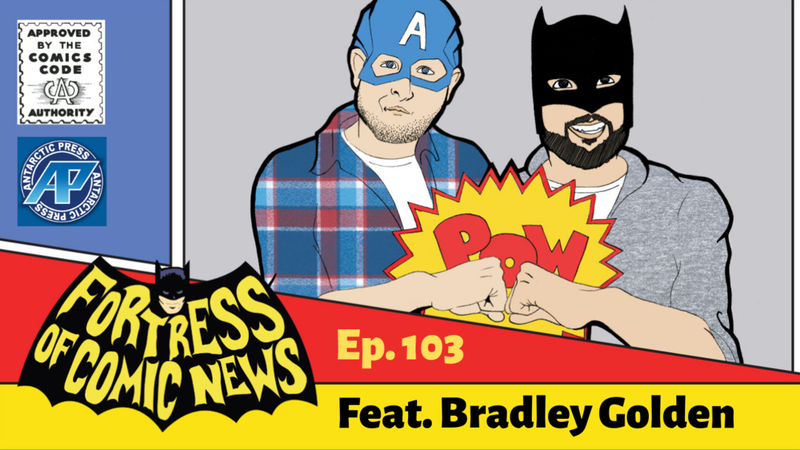 This week Mike and Chris are joined by Antarctic Press creator Bradley Golden to talk about his upcoming comics. Also the guys talk about all the new fit for print including the new Spider-Man trailer, George Perez retiring and so much more. This week Mike and Chris discuss Black Knight in Avengers 4, the death of a comics legend, DC joining Comixology Unlimited and so much more. The new week may be slow but that won't stop Mike and Chris from talking comics. 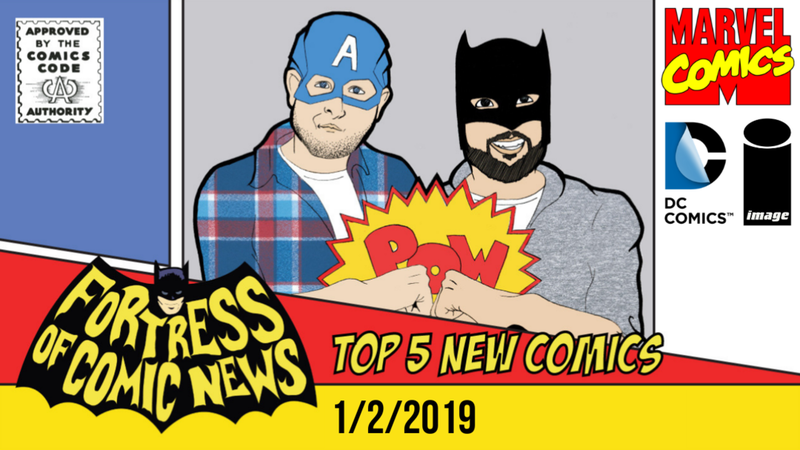 The guys discuss all the latest news from around the comics world as well as all the movies and tv shows they are watching. 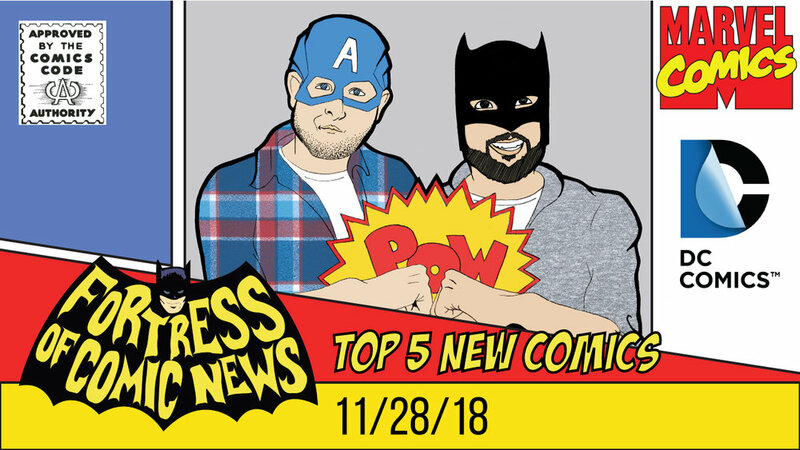 Fortress of Comic News Ep. 100-We Did It! Mike and Chris celebrate 100 episodes the best way possible, by talking with Travis Holyfield. 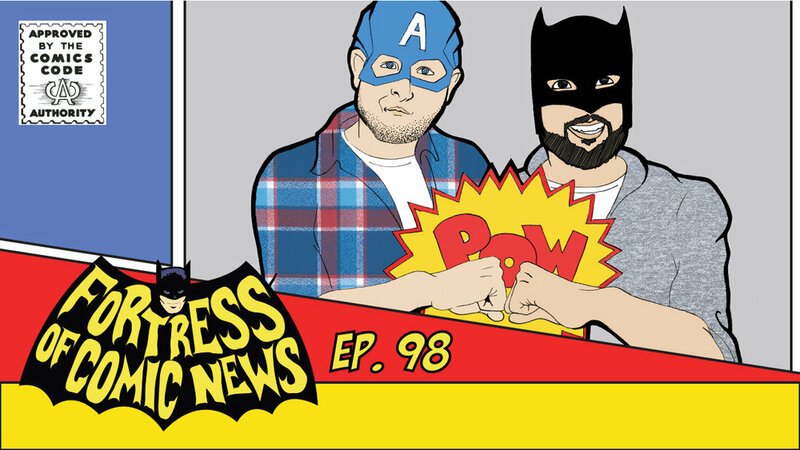 All three discuss all the news fit for print, their opinions on Aquaman, and bring back an old segment. Thanks for listening! Please take a second to leave us a review, it means alot to us. 2018 is coming to a close and Fortress of Comic News has done great. But what about next year? Well this video discusses all the goals for the New Year as well as the announcement of some new shows for you all coming soon. Christmas time is here and that means Chris and Mike make there picks for best of the year. Listen as the guys discuss there favorite Movies, Comics, and creators from the year that was. This week the guys talk about the CW crossover Elseworlds, as well as all the awesome trailers that have been released and all the comic news you need. This week the guys are joined by comic book writer and overall great guy Mark Russell. They talk about the Flinstones, Wonder Twins and all of his work at DC, and Ahoy Comics. But don't forget all the news fit for print.